By buying this product you can collect up to 4 loyalty points. Your cart will total 4 loyalty points that can be converted into a voucher of ₹ 4.00. Lancer has an amazing range of Sports Shoes manufactured using the latest technology and state-of-the-art manufacturing facilities. 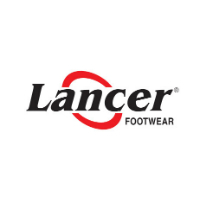 Lancer is known for their wide range of Sports shoes available in various designs, colours and styles. Lancer Sports Shoes are designed keeping in mind the end use and give the right kind of comfort and flexibility required from a sport shoe. Lancer Sports shoes can be your perfect partner for all types of sports activities and can be used for casual wear as well.